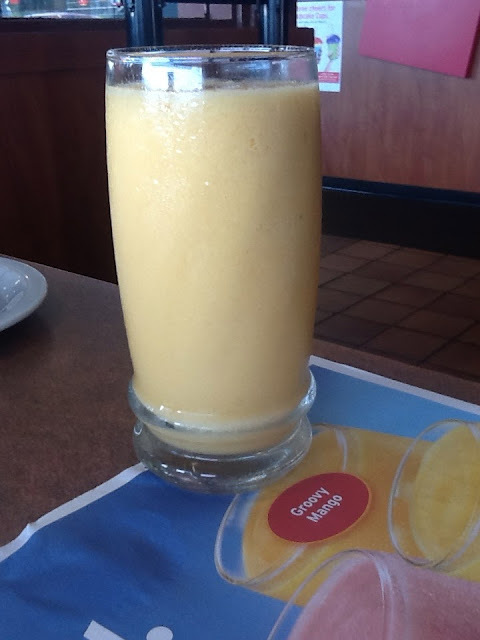 On a recent visit to Denny's to sample the Build Your Own Pancakes menu, I had the chance to also try out some beverages. I tried a Groovy Mango smoothie, which was wonderful. I'm a big smoothie fan and this is one of the best I have had. It was smooth and creamy with a frothy consistency. It was on a rotating menu of smoothies. The two regular flavors are Strawberry Banana Bliss and Orange Grove. Also, there are a variety of coffee drinks beyond the regular cup of Joe. I also tried a sample of the Frosty Roast. I am not a coffee drinker, so I don't normally offer coffee drinks. I am however, a huge fan of tiramisu - I love the coffee flavor when it's in a decadent dessert like that even if I don't normally drink it right out of a mug. The Frosty Roast is something coffee related that I would definitely order even not being a regular coffee drinker. Like a smoothie, it has that frothy top that I love and it seems more like a slushie or a milkshake than a coffee beverage. The Frosty Roast and Iced Coffee are permanent menu items that were added earlier this year. The coffee drink menu will also have some limited time flavors that will rotate and currently that temporary resident on the menu is Vanilla Hazelnut Iced Coffee. You'll also find some fun lemonade drinks on the menu and a few milkshakes that will be hard to pass up, like the new limited-time Chocolate Peanut Butter Milk Shake. 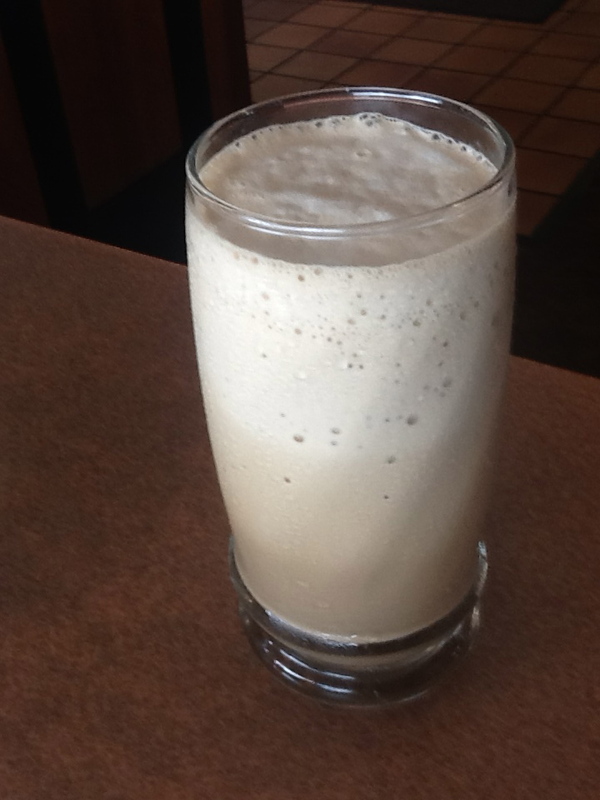 View the full beverage menu at http://www.dennys.com/#/menu.